For the latest in Star Wars action figure and collecting news, be sure to visit http://www.JediInsider.com on a daily basis! 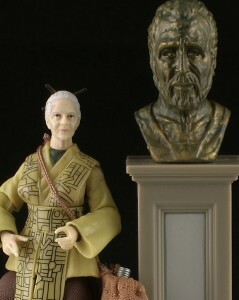 To pre-order the exclusive Vintage Collection Jocasta Nu action figure, visit http://www.BriansToys.com! Always ready to please Star Wars fans by offering up the obscure characters, Hasbro brings us the Jedi Archives librarian known as Jocasta Nu! Jocasta Nu is exclusive to BriansToys.com, and comes with some cool accessories and exclusive box packaging. Join me for a look at this figure to find out if it’s something you wish to add to your Star Wars collection! I guess Shmi Skywalker has been defeated for the title of most boring Star Wars Figure ever,EVER! Unless they produce a Jedi Tax Advisor.